Ever looked up at platform destination boards on the Greenwich line and seen a train to Ramsgate, Margate and Herne Bay and wondered what that was all about? If so, then what you’ve seen listed is a little known train that runs over the summer months direct from Greenwich, Charlton, Woolwich Arsenal and Abbey Wood to Ramsgate. It’s one of the few trains (the only?) that still does the old fast calling pattern of Greenwich, Charlton, Woolwich Arsenal and Abbey Wood. From there it calls at Kent stations up to Gillingham where it continues along the north Kent coast. There’s only one a day on weekdays, which leaves Greenwich at 09:14, Charlton at 09:20, Woolwich Arsenal at 09:27 and Abbey Wood at 09:33. A trip from Woolwich to Whitstable takes 1 hour 23 minutes. There’s two on Saturdays that stop at more stations such as Plumstead, Erith and Belvedere. One departs Cannon Street at 08:32 and another an hour later at 09:32. On Sundays there’s one train that leaves Cannon Street at 09:35. Over the summer you can get a return ticket from any Southeastern London station to Whitstable, Margate, Broadstairs and Ramsgate for £20 buying at any time. That’s off-peak on a weekday or anytime on a weekend. Kids are £1. 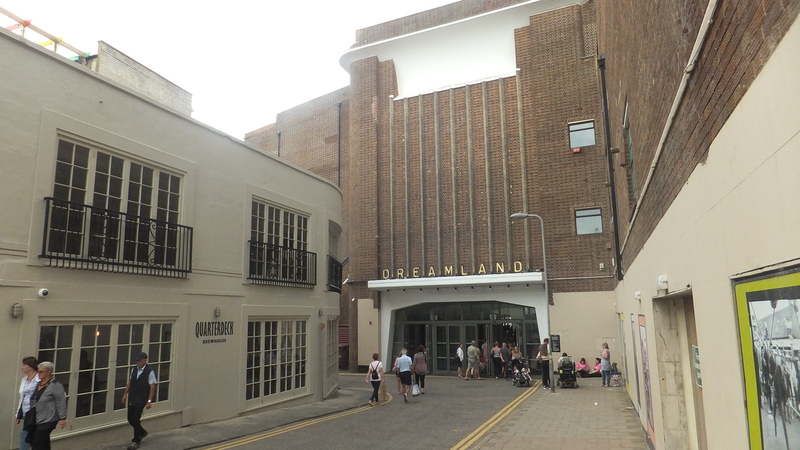 I’d recommend a trip to Margate which has improved a great deal over the past decade with the renovation of Dreamland amongst other areas. This almost comes across as a Southeastern advert given the poor service suffered over the years, but some people especially parents didn’t more may find this little known link useful during the summer holidays.